KABUL: Acting minister of foreign affairs Salahuddin Rabbani has separately met Turkmen and Iranian ambassadors to Kabul. 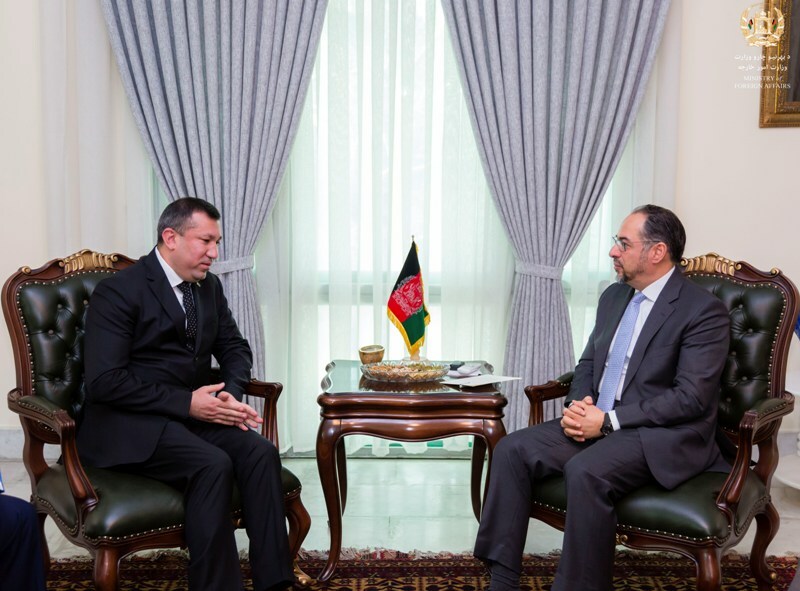 In meeting with Turkmen ambassador, acting minister of foreign affairs praised the government of Turkmenistan for receiving, delivering health services and returning Afghan citizens back. Both sides discussed work development of bilateral and regional economic projects, Aqina railway project, electricity transmission as well as TAPI projects. In separate meeting with Iranian ambassador to Kabul, both sides discussed bilateral relations, regional cooperation, peace and security.